Welcome to the fifth edition of TANGO newsletter. It is always a pleasure to share with you further steps done in heterogeneous hardware technologies. 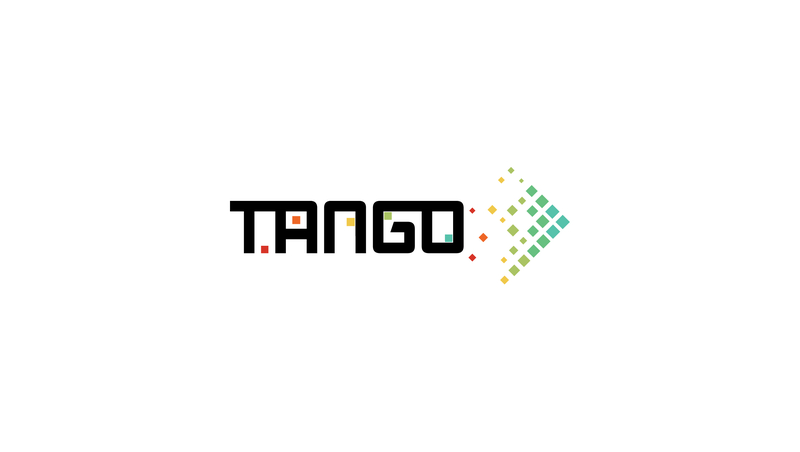 As you will see below, we are about to launch the TANGO Toolbox Final version which provides a whole package to design, develop and deploy software in heterogeneous platforms. Furthermore, we are increasing our visibility in related events at this stage of the project. And we are leaving our results published in several books for future research. Hope you enjoy this content!!! TANGO in HiPEAC CSW in Heraklion. TANGO have participated in a Book! Final release of TANGO Toolbox is about to come! This HiPEAC will take place in Crete island, the dynamic sessions will be from Thematic sessions to Workshops. TANGO will present a thematic session the second day alongside RAPID and ECOSCALE, all project members of the Heterogeneity Alliance. The topic of this thematic session will face "Heterogeneous architectures for next generation Data Centres" For more details you can visit the website of HiPEAC. Each project will have 30 minutes for presenting their work and results contributing to the session topic. Moreover, as current members of the Heterogeneity Alliance, the three projects will focus part of the session on talking about this initiative and a round table about the common topic. Valencia, Spain, 2018, 21-23 January 2019. The HiPEAC conference is a forum for experts in computer architecture, programming models, compilers and operating systems for embedded and general-purpose systems. This time, 14th HiPEAC conference will take place in Spain. This event will focus on several topics such as High Performance Architecture, Embedded computer architectures, Low Power Solutions and Cloud, Fog and Edge Computing, among many others. The Heterogeneity Alliance, which TANGO belongs to, will hold a full day workshop presenting matters related to challenges in heterogeneity. A keynote speaker from IBM will provide us an interesting talk about GPU support in Open Runtimes. Besides Alliance members will provide insights and research results carried out on heterogeneity challenges. Finally, the Alliance will present its obtained outcomes so far and ongoing activities for those who would like to join. If you will attend this event, DO NOT HESITATE TO JOIN US and register to HIPEAC event. TANGO has joined the initiative of creating a book for experts and public in general who follows the updates in "HARDWARE ACCELERATORS IN DATA CENTRES". Under that title, TANGO has shared the results made in this field contributing with a chapter. Years of collaboration with different companies and entities with high expertise in this matter, have made this contribution possible. We are very proud of our team so just say THANK YOU VERY MUCH for working hard and invest your time on it. We inform our subscribers that the final release of our Toolbox is about to get ready and finish. We are just publishing minor things and it will be soon in our GitHub and accessible through our web site. Keep posted in our Twitter! Since the beginning of the project (almost 3 years ago), our team has been working to develop tangible results demanded by the research community and industry. Thus, TANGO Toolbox, a set of modular, open and interoperable tools to design, model, develop and execute optimised software in heterogeneous hardware, is the main outcome of the project. Don´t worry, we will keep you updated about news in FINAL RELEASE!!! Heterogeneity Alliance: New Challenges are coming soon! The Heterogeneity Alliance is a formal association (non-profit and non-legal) formed by several organizations that aim to reach the same objective; to join efforts in the development of future technologies and tools to advance, and take full advantage, of computing and applications using heterogeneous hardware. The Alliance was born one year ago and now is already supported by 20 members, 10 research projects in the area and 10 independent organizations (universities, research centers and companies). Among the ongoing activities carried out by the Alliance members, we want to highlight in this new the edition of "Heterogeneous Computing Architectures: Challenges and vision" book. It expected to get the first edition at beginnings of next year 2019. Also, through Heterogeneity Alliance website you can follow us up and be part of it if you interested. We will let you know about it!! !